Raquel recently joined P&E Law and is a Senior Solicitor in our Chinchilla office. Raquel was born and bred in the Surat Basin and has a wealth of local knowledge and experience in the CSG and mining sectors. Raquel’s work includes acting on behalf of landholders to negotiate access and compensation arrangements with mining and coal seam gas proponents in Queensland. Raquel specialises in advising clients on matters relating to Conduct and Compensation Agreements (CCAs), Variations, Deed of Amendments, Make Good Agreements, Alternative Arrangements (Noise Agreements), Settlement Agreements, Pipeline Easements, Contracts of Sale, various other land access matters (including dispute resolution) and other commercial agreements. Raquel has previous experience working in private practice, local government and the CSG industry. 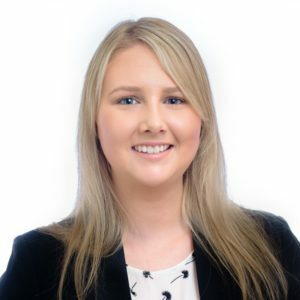 Raquel has an in-depth understanding of the complexities of the various resource sectors and is aware of the legal and practical issues affecting landholders when negotiating agreements with mining companies. Raquel is also responsible for advising clients in relation to planning and environment matters. Advising land owners in relation to Conduct and Compensation Agreements and land access matters under the Petroleum and Gas (Production and Safety) Act 2004 (Qld) and Mineral Resources Act 1989 (Qld). Advising clients in relation to the impacts of exploration, mining and infrastructure associated with mining activities such as pipeline easements, powerline easements, gravel pits, etc. Advising land owners on environmental law issues including under the Environmental Protection Act 1994 (Qld) and the current “make good” arrangements under the Water Act 2000 (Qld).